When you are looking to replace your Construction Tread Tires for Champion Motor Grader, you need a company that is going to give you the best customer support and first class service in the industry. 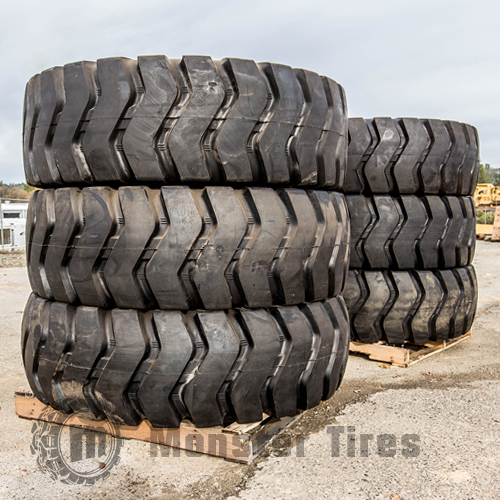 At Monster Tires, we strive to give you all the information you need, as well as offering the full range of Champion Motor Grader Tire Size Options. Whether you are looking for a Set of 4 Tires for Champion Motor Grader, a Front Tire Set for Champion Motor Grader, or a Rear Tire Set for Champion Motor Grader, we have the tires for you. We carry Champion C80 Motor Grader Tires, Champion 740 Motor Grader Tires, Champion 730 Motor Grader Tires, Champion 726A Motor Grader Tires, Champion 720 Motor Grader Tires, Champion 715 Motor Grader Tires, Champion 710 Motor Grader Tires, Champion 605T Motor Grader Tires, and Champion 605T Motor Grader Tires. Contact our expert staff members today for assistance with your OTR Tires for Champion Motor Grader! Fully Staffed 9-5 Office of Construction Equipment Tire Experts on Champion Motor Graders! When you have questions about a Tire Package for Champion Motor Grader, our tire experts are here to help you. Contact us today about our High-Quality OTR Tires for Construction Companies and Home Owners. We have the expertise to help you find the Heavy Equipment Tires to get your piece of equipment rolling again. So Trust in Monster Tires for your next set of Champion Motor Grader tires!